Fran's Encrusted Jewel Technique has taken the world by storm. It's so simple, yet so incredibly elegant. 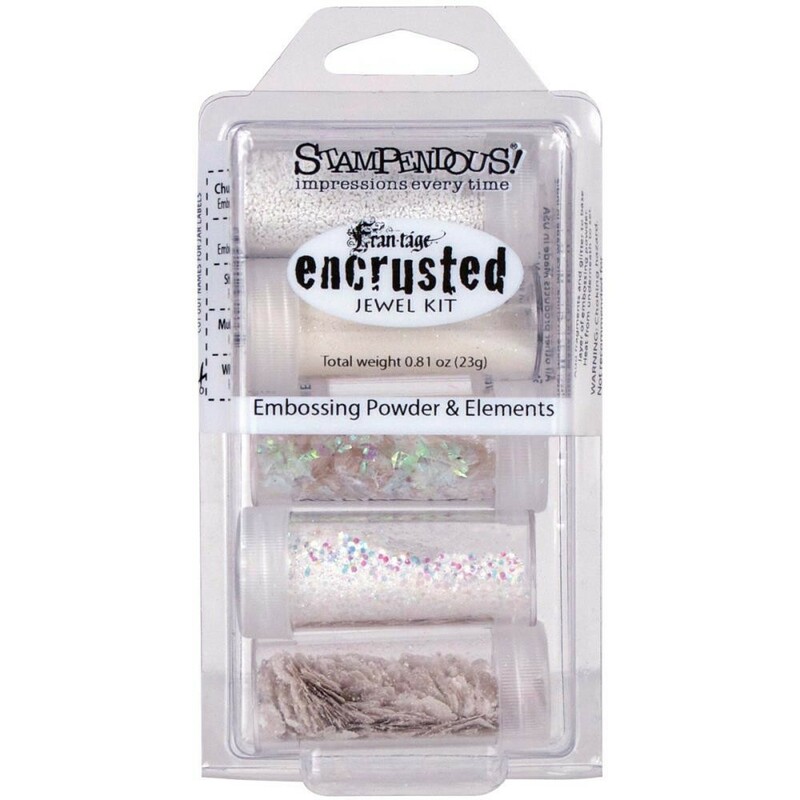 Simply sprinkle some of our Frantage Embossing Enamel on your project, then sprinkle various elements like glitter, mica, and color fragments on top of the dry enamel. Heat from underneath and watch the melting enamel grab the elements and adhere them firmly to your project like encrusted jewels. These 5 jar kits feature enamels and other elements to get you creating in one color scheme right away.